Stitched Together: Some pretties to make you reach for your purse! Some pretties to make you reach for your purse! I haven't blogged much of late. It's a mixture of things, mainly because my entire mind (the stuff that's left over after the drugs and pain have taken their share) has been occupied with designing. It's been a long time since I've felt the siren call of the swatch and chart, but it's taking over every waking thought. I'm being driven to distraction with how to finish my design, at the moment, so I've been walking away from the chart to look at pretty things. I might of accidentally bought a few. 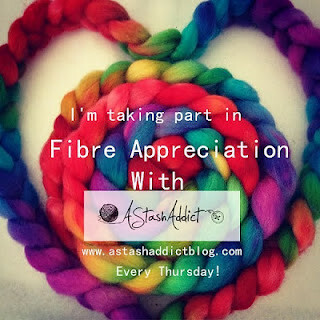 In the spirit of A Stash Addict's Fibre Appreciation Thursday, I thought I'd share the yarn I bought from independent dyers and spinners. Please be assured that this stash enhancement has been acquired over several months, and I don't normally spend this much on yarn, but I was led astray by my designing head that kept whispering to me ".... but it would be wonderful as .......". This is Posh Yarn. I've shared Posh Yarns with you before. 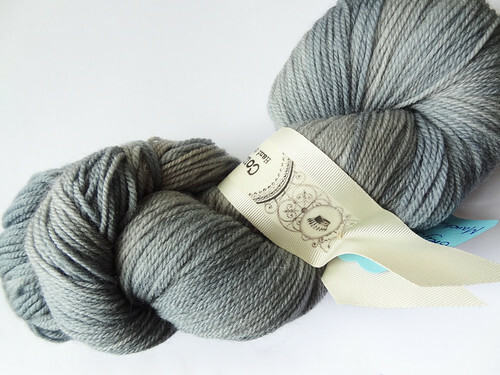 This independent dyer does a scheduled update once a week and if you don't sit on the website when the update goes live, you are unlikely to get your desired yarn. Once you have used the gorgeous base yarns from this dyer you will always want more, especially when you add in Dee's wonderful touch with colour. This particular skein is Martha Sock Yarn, which is 80% merino/10% cashmere/10% nylon. It's a lovely blend. 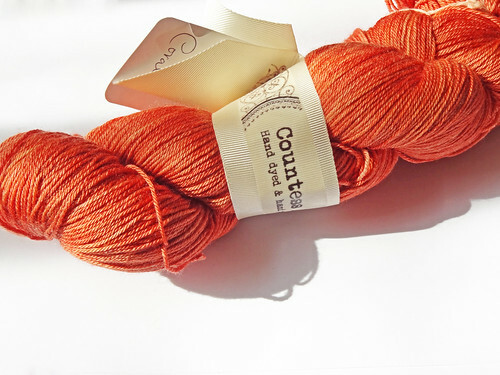 Another UK indie dyer I have bought from recently is Countess Ablaze. 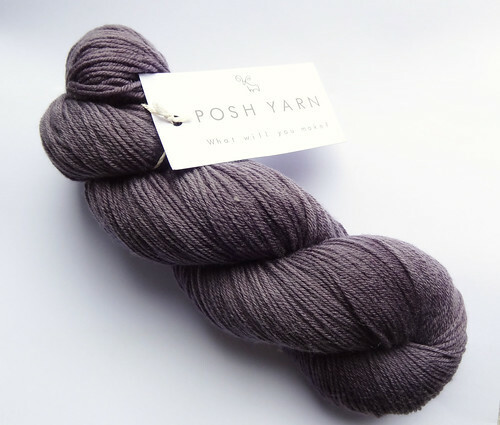 I think the first skein I bought could quite possibly be the same base yarn as the Martha from Posh Yarn, it is Count Cashmerino Sock. 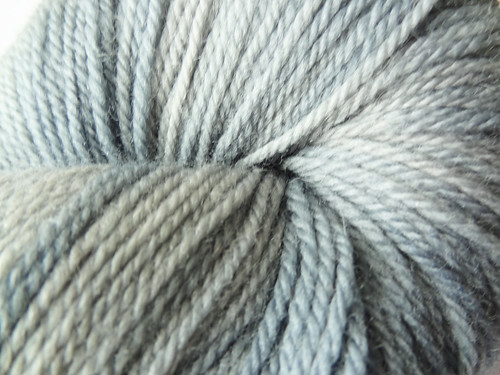 It is so hard to capture the subtle shades of grey in this yarn. This photo does a slightly better job. I don't know why this yarn feels much "squishier" than Martha, because it has exactly the same composition, but maybe it is simply down to the way it has been skeined. It is Countess Ablaze's Lord of Silk. Isn't it delicious? It is made up of 75% merino and 25% silk. I adore the sheen and the richness of colour in this skein. I do love Countess Ablaze, and I believe I was her very first customer, back in November last year. Is it a bit sad that her ribbon labels just make me coo with delight? Last, but by no means least is a yarn from baa ram ewe in Leeds. They are a great yarn shop that I wish I could visit in person, but until I can, I shall live with the website. They have decided to bring out their own blend of yarn. It is sock weight and it is called Titus. 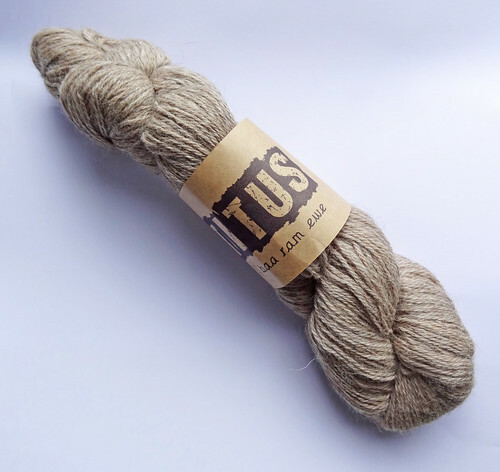 This yarn is spun from 100% UK sourced fibre. It is made from 50% Grey Wensleydale, 20% Bluefaced Leicester, 30% UK Alpaca. It feels amazing! I am itching to knit with it. I can't decide whether to use it for my new design or not, but I think the skein is a little on the short side being only 320m in length. 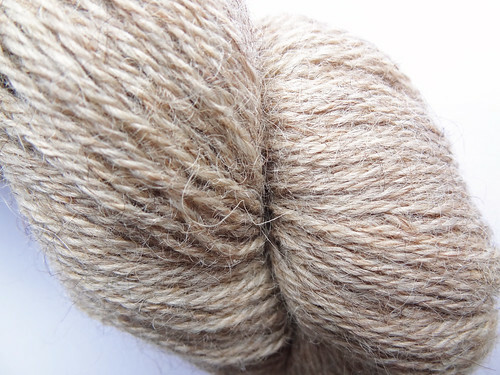 There is only one shade available as it is undyed. But that single version has such subtle depths to it, you could never get bored. I am so pleased with all the yarn purchases that I have shared with you. They suitable for many different types of knitting and I can't wait to cast on with them all. Unfortunately I've to finish this design I can't get out of my head first!!! !